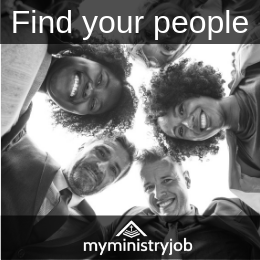 I get to meet with a local network of ministry leaders a few times a year. We talk about everything related to ministry as we share ideas and encourage one another. Every time we ask for topics to discuss, there is one that always comes up the most. 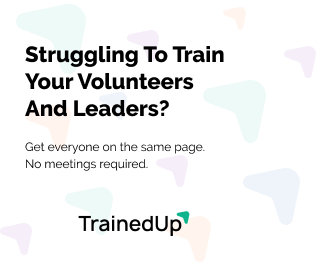 People in our network consistently ask each other what they do to recruit volunteers. When asking that question, it seems as though everyone is looking for that perfect resource or idea that would cause people to step up in droves to volunteer. What we often miss is all of the other things in our churches that impact volunteerism. Those other things could be a barrier to everything else we do to recruit volunteers. 1. Are our mission and vision clear and compelling? A clear mission and compelling vision will motivate people toward action or help them see how they don’t fit. A lack of clarity breeds confusion, which leads to inactivity. 2. Do most people know our strategy? If they don’t know the plan, it’s harder for them to see where they fit in. 3. How many volunteers would it take to staff every role on every team in children’s ministry? This would take some work to figure out but it’s worth it. You may be doing too much and knowing this number will help you determine that. 4. Is our staff made up of doers or leaders? Staff who lean toward doing everything themselves will be a barrier to volunteering. 5. Are we competing with volunteer opportunities by offering something else at the same time? One example might be having adult classes at the same time as the primary environments for children and students. In that case, we’re asking adults who serve with children and students to miss out on something else we believe is important. 6. How do we communicate about opportunities to serve? If we don’t share the opportunities, people won’t know to step up. If we talk too much about need, they may run for the hills. It’s also important to remember that the stage is not the only way to communicate; most people need to be asked in person (especially leaders). 7. Do we really encourage students to serve? As someone who grew up in church as a student, I can say that serving grew my faith more than anything else. Students need to serve and churches need them to serve. 8. How do we talk about serving? If we do not talk about serving as a critical part of discipleship, then we are missing out. Sharing stories that celebrate volunteers goes further than talking about needs. Volunteering is impacted by far more than we realize sometimes. There is no magic bullet or quick fix. Creating a great volunteer culture involves every aspect of the church. Nick is married to a beautiful and talented woman named Jennifer and they have 2 kids, Isaac & Mackenzie. Nick serves on the leadership team and as the Children and Student Team Leader at Community Christian Church in Baltimore, MD. He is all about helping church leaders reach their full potential.